The sample return capsule, 33 inches (84 centimeters) in diameter and 26 inches (66 centimeters) in height, is a fraction of the size of the other vehicles that bring home cargo from the space station — SpaceX’s Dragon supply ship and Russia’s Soyuz crew craft. On Earth, it weighs less than 400 pounds (180 kilograms), excluding the cargo inside. But it offers Japan an independent way to return specimens from the station, without relying on foreign-owned spacecraft. The return vehicle departed the space station Nov. 7 with Japan’s seventh HTV cargo freighter, which flew a safe distance from the complex to conduct a series of braking burns to fall back into Earth’s atmosphere. The HTV is designed to burn up during re-entry, but it released the HTV Small Return Capsule after the de-orbit rocket firings. 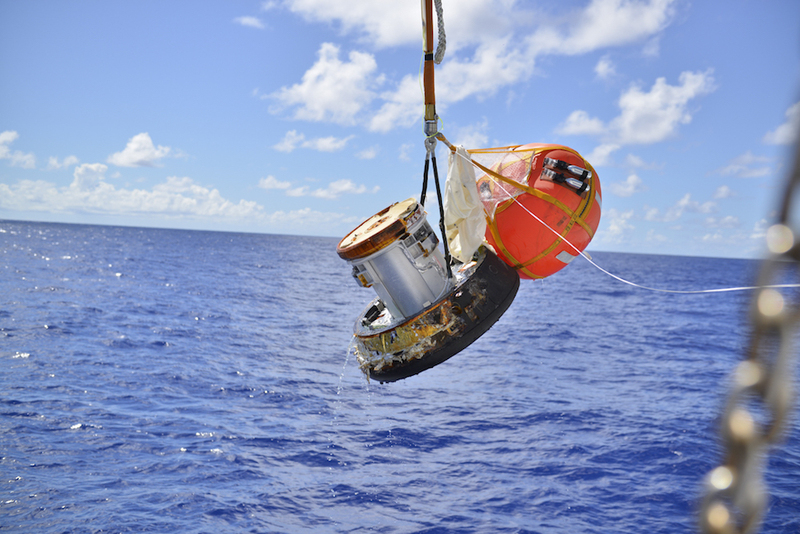 Equipped with a heat shield to withstand the scorching temperature of an atmospheric entry, the capsule reached the Pacific Ocean for a parachute-assisted splashdown to conclude the capsule’s first full-up flight test. It does not carry engines to fly independently in orbit. 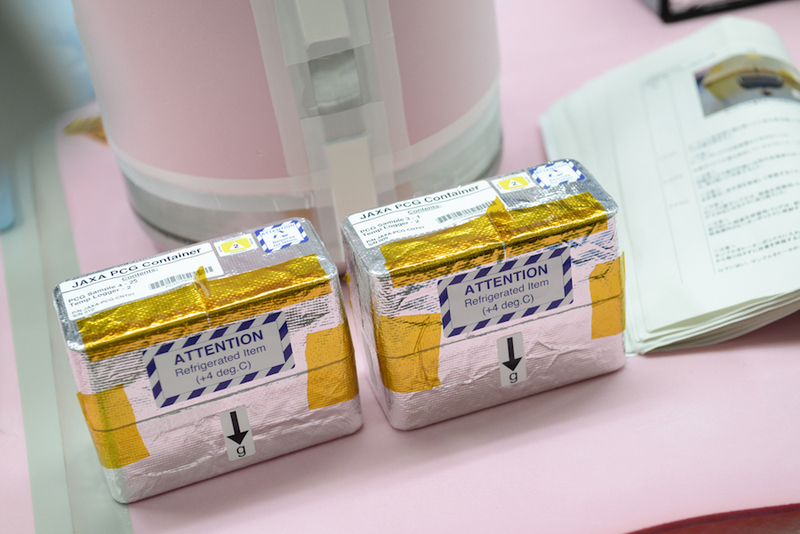 JAXA says the the capsule has an internal volume of about 30 liters, and astronauts could load up to 44 pounds (20 kilograms) of specimens inside the landing craft, which features a thermos-like container to store refrigerated biological samples. That is a fraction of the carrying capacity of the Dragon capsule, but the new HTV Small Return Capsule, or HSRC, will offer station managers a new way to make sure time-critical items can return to Earth for analysis. Astronauts assembled the return capsule after the HTV arrived at the station, and mounted it into position over the HTV’s forward hatch before the craft’s departure from the complex. The HSRC tech demo launched inside the HTV-7 supply ship Sept. 22 from the Tanegashima Space Center in Japan, and the automated cargo craft reached the space station Sept. 27. 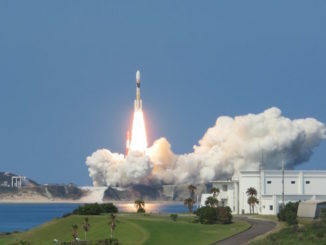 The HTV delivered 7,489 pounds (3,397 kilograms) of cargo for JAXA, NASA, the European Space Agency and the Canadian Space Agency, including fresh food, crew provisions, scientific gear, computer equipment and spare parts. 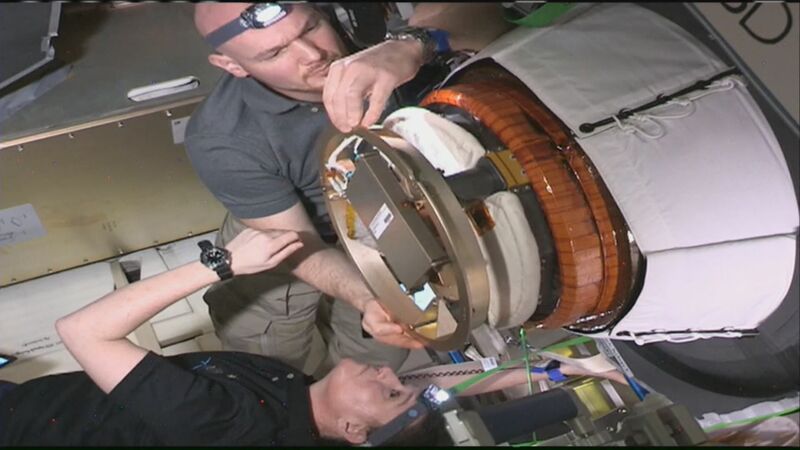 The cargo complement included six new lithium-ion batteries to be installed on the space station’s solar power truss, replacing aging nickel-hydrogen batteries used since solar array modules were launched in the 2000s. 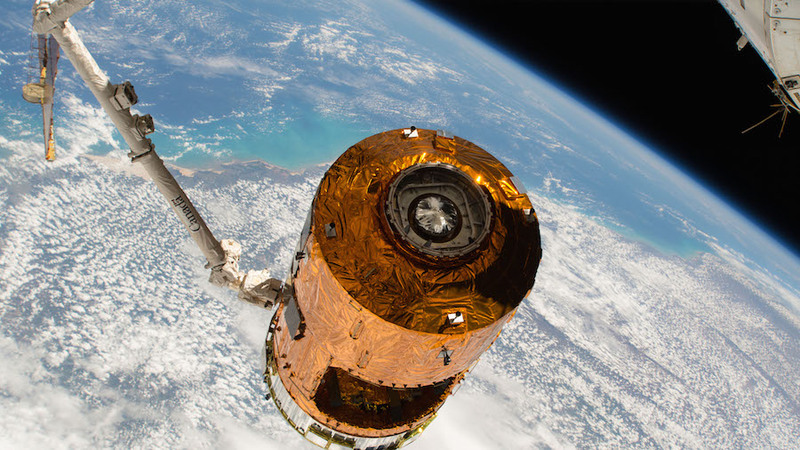 Japan uses the HTV cargo missions to help pay for the country’s share of the space station’s operating costs. The next HTV mission is planned for launch in July 2019, followed by another in 2020 before the debut of a redesigned cargo transfer craft for space station deliveries in the next decade. The new return capability, though modest, gives scientists and engineers a new way to bring back payloads from the space station. 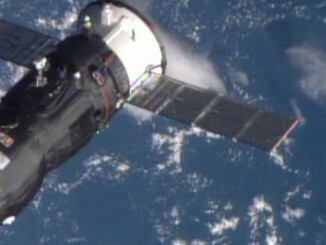 SpaceX’s Dragon spacecraft is currently the only vehicle capable of returning tons of cargo to Earth intact. 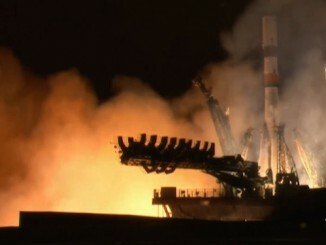 The capacity for cargo is limited on Russia’s Soyuz crew capsule, which lands with astronauts and cosmonauts. Japan’s previous re-entry experiments include the 2010 recovery of a canister from the country’s Hayabusa 2 asteroid probe, which brought microscopic samples back to Earth from an asteroid, and the return of a module carrying microgravity experiments from orbit in 2003.